New Year’s Eve is just around the corner; what will your resolutions help you achieve in 2015? 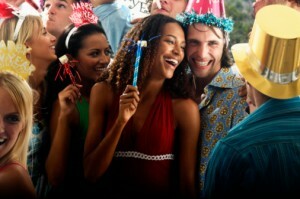 Many people resolve to get into better shape, to save money, or to spend more quality time with family and friends. While these are certainly important and worthwhile resolutions, we have another idea we’d like to propose as well. At David M. Weinman, DMD in Westfield, NJ, we invite you to make a unique sort of New Year’s resolution this January 1st: giving your smile the high-quality, personalized attention it deserves. With a comprehensive range of preventive, cosmetic, and restorative dentistry solutions available, Dr. Weinman and his team make it easy, convenient, and affordable to repair and rejuvenate your smile for 2015. We look forward to providing you with the exceptional oral health care you need and deserve, all within an environment designed with your comfort and satisfaction in mind. We aren’t happy until you absolutely love your smile! If you’ve spent 2014 hiding your smile due to common issues like discolored teeth, damaged enamel, or receding gums, there’s never been a better time to take a step in right direction with restorative and cosmetic dentistry in Westfield, New Jersey. Dr. Weinman and his team genuinely can’t wait to share with you the innumerable possibilities afforded by our state-of-the-art technology and extensive experience. Contact us today to begin your new year off on the right foot with a consultation at David M. Weinman, DMD. Our family-friendly, patient-centric dental practice warmly welcomes patients from throughout Westfield and the surrounding communities, including Scotch Plains, Cranford, Mountainside, Fanwood, and beyond. We look forward to making 2015 the year your smile truly shines.